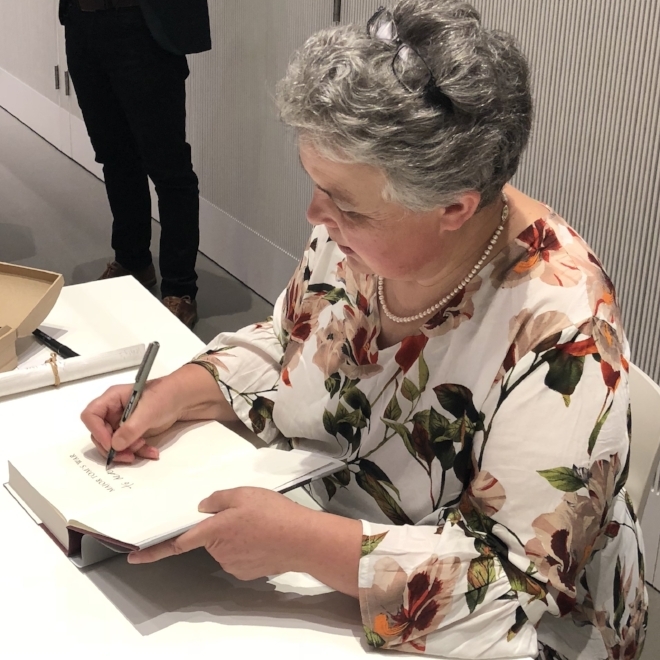 Listen to Vee Walker talk to Jassa Ahluwalia about her writing journey at the recent launch hosted by the National Army Museum, London, on 20 September 2018. In their far-reaching discussion, which included two gripping readings, Vee explained to Jassa how her Indian-born solicitor grandfather, Tom Westmacott, became an Indian Army cavalry officer and fled Calcutta in a state of despair after the tragic death of his wife, Mary. Tom reached the UK from India in late 1914 and joined his regiment of Sikh, Hindu and Muslim sowars (troopers) on the Western Front in early 1915. It is often said how the Indian Army left France in October 1915 due to decimated numbers, but that was only the infantry. The cavalry stuck it out, performing horrific duties such as burying the dead as well as taking their turn in the trenches. They usually fought dismounted. In March 1918 they were dispatched to Syria to face annihilation in a whole range of different ways. Tom found solace in writing to his late wife’s best friend and cousin, Evie Winnington-Ingram. Despite initially blaming Tom for Mary’s demise, Evie responds. Tom's letters are detailed, harrowing, often funny and critical, but above all they document his time in the trenches with the Indian sowars up to the end of 1915. At that point a senior officer remembered his legal background and he was nabbed as an assistant provost marshal (APM) - a military policeman - under protest. He found himself judge, jury and sometimes executioner to the men he had once been fighting alongside. The rest of his war is as harrowing as is imaginable and is documented, including the executions, in careful detail. 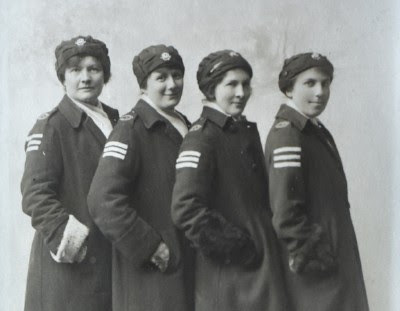 After being injured in a gas attack, Tom requested a transfer to the cottage hospital in Ross-on-Wye where Evie - a would-be suffragette turned nurse - worked. His proposal of marriage fell on deaf ears and he returned to France. He was ordered to hold the bridges during the retreat from the Somme, which meant keeping panicked French refugees back at gunpoint while the heavy artillery thundered past. He also stopped and tried to rearm and reassure terrified Allied troops fleeing for their lives. Tom and Evie continued to correspond for the duration of the war, which led to the forging of an unusual and lasting love. At the end of the war Evie did relent and marry him, and he returned to rejoin the remnants of his division for the final battle to liberate France. He himself accidentally liberated a small French town called Bavay, for which he was awarded the Croix de Guerre. The mayor of Bavay, Gaston Derome, a punctilious man, wrote an elegant thank you letter to Tom, which Evie kept and pasted into the 'War Diary' scrapbook along with everything else. Ten years ago, Vee decided to transcribe this huge album and all Tom's letters in chronological order so that it was more readable. She translated the Bavay letter and on impulse rang the town hall and asked if they had ever heard of her grandfather. It took a few attempts for them to put her through to the town archivist who had never heard of Tom Westmacott and asked to see the letter. A relationship developed and Vee has spent the last few years visiting Bavay every so often, building up a picture of occupied France during the First World War. This is not a period many military historians cover in France as it was such a dark period in the country's history, but Vee is confident that Gaston Derome will provide a hero for them. She uncovered some astonishing stories about Gaston's courage in saving Allied soldiers and realised that his story, combined with that of Tom and Evie, gave a pretty balanced account of the whole war for civilians and soldiers alike. She added in a fourth viewpoint, that of James Macbane of Lochdubh, who is based on a real West Coast Highland laird whom Tom catches doing something highly illegal. As a companion to the novel, and to get a feel for the archive on which the book is based, Vee is digitising Tom's entire War Diary, viewable here. Those interested will also be able to read the transcript of all Tom's letters and diary entries that were typed up by Evie and often slightly softened from the original letters - an example of historiography in action. As an added bonus visitors to the website can also read detailed chapter notes, including Chapter 9 1/2, which was an experimental chapter that did not make the final cut. Vee did not set out to write an epic Great War novel but it has happened. She likens it to a kind of Testament of Youth for our times and hopes to reach as many hearts and minds as possible to show them just how terrifying war can be. Lest we forget.